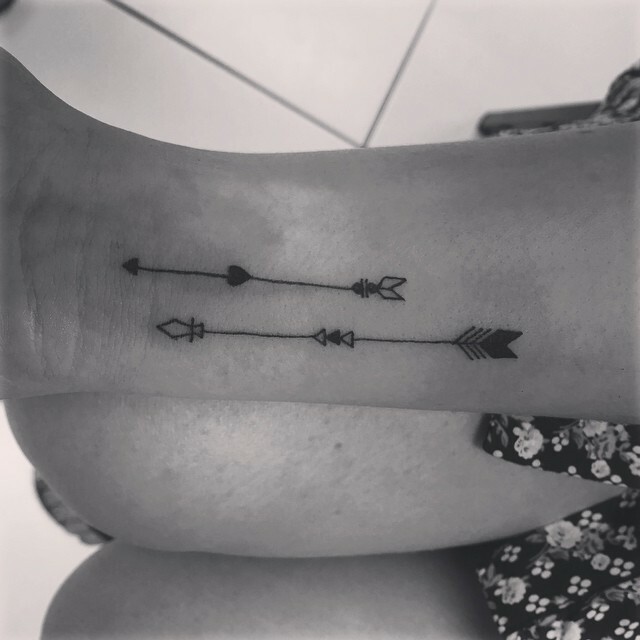 According to click-hungry cultural accumulator Buzzfeed, arrows were one of the tattoos that simply everyone got this year – and it pulled a few pics off Instagram to prove it (below). 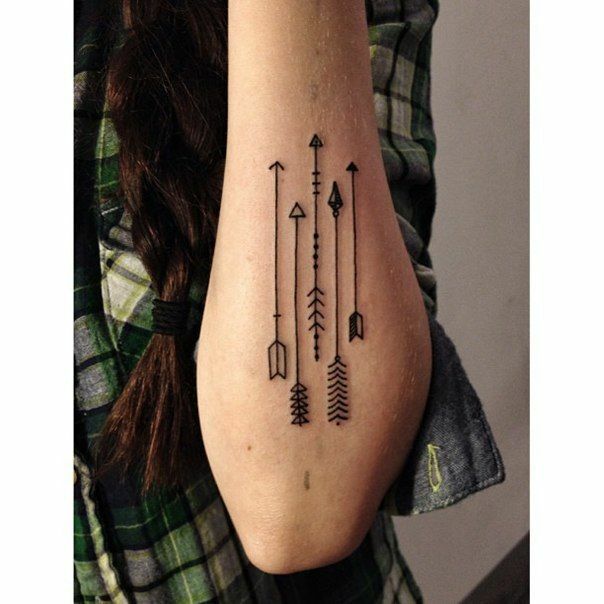 Archery-based tattoos have been popular for a long time, but the ornate, feathery ‘Indian-style-arrow’ tats, somewhere between an actual weapon and a symbol, do seem to be on the rise. 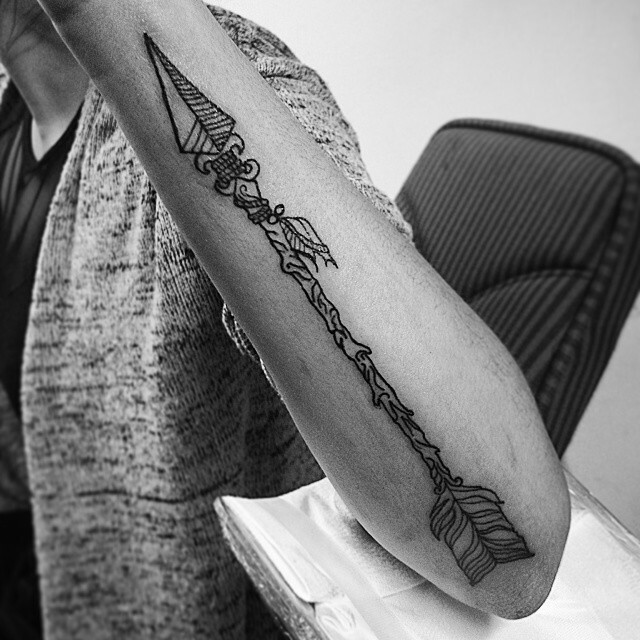 There’s plenty more archery tattoos out there, you can start here and here and here and go from there. 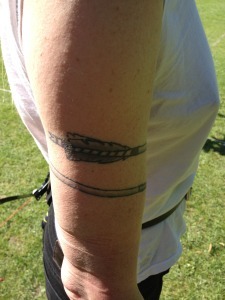 Although my friend Eva at my club still has my favourite (below) going round her upper arm – it ends in a stone point. 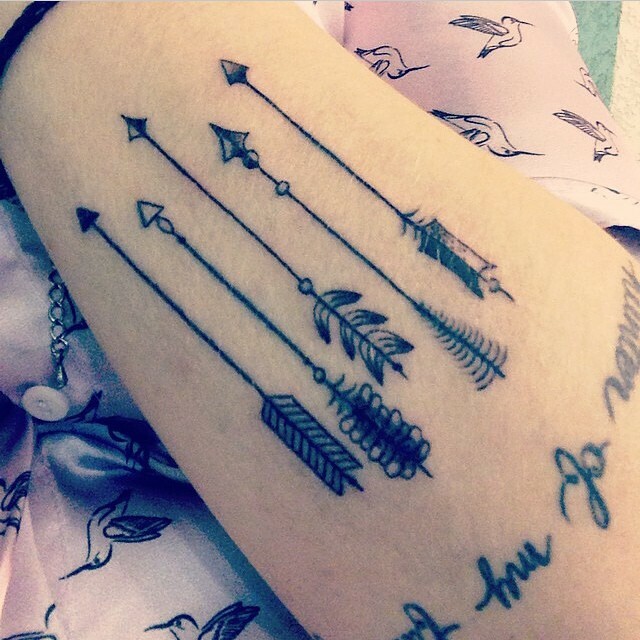 If you’ve got some archery ink, feel free to share.